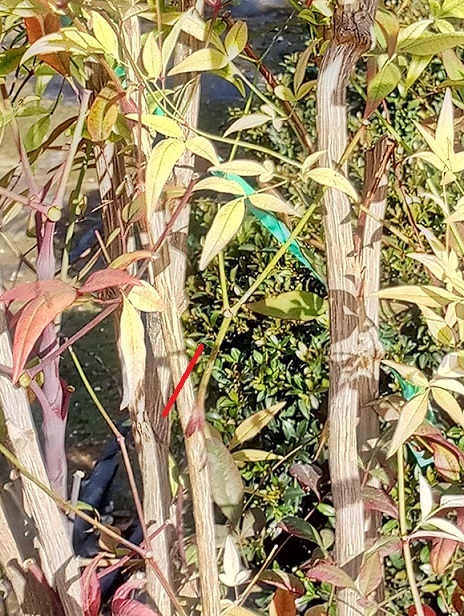 Note - The Nandina shrub has a unique growth pattern, which is bottom up and there is no reason to prune its leaves unless they're broken or dead. I generally recommend to leave them alone and let them grow. What would you like to achieve? There are two reasons to prune Nandina, one is to encourage new growth, as always, but - the thing is that this new growth, when it finally comes, requires a different approach. When pruning Nandina you should be more sporadic. Don’t cut all the branches, rather pick and choose. One of the different things about her is that she needs strong live stems in order to grow and develop more. The second reason is to maintain its height. The idea is to be selective about the stems you prune and those will slowly reach the same height as those you didn’t prune. 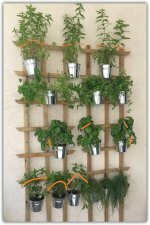 It’s a game of growth at different heights – very interesting to watch – and in the future the stems you pruned will reach the height of the stems you didn’t prune, which in the case of Nandina is very important. Like with every plant, most of the Nandina’s energy is invested in developing and producing new leaves, flowers and often fruit. In this case, that energy travels straight up leaving the stems beneath the canopy naked. If you’re ok with that, great. But, if you would like a more bushy look you need to prune a little off the height in order to encourage new growth in other places along the stems. When to prune? Best time for pruning Nandina is in early fall, after you’ve enjoyed her bloom and growth. Early fall is a good time to help her prepare for next season. Remember that your Nandina has invested all of her energy in your garden over summer, so now it’s time for you to let her crawl slowly into dormancy, rest, and prepare for next seasons challenges. 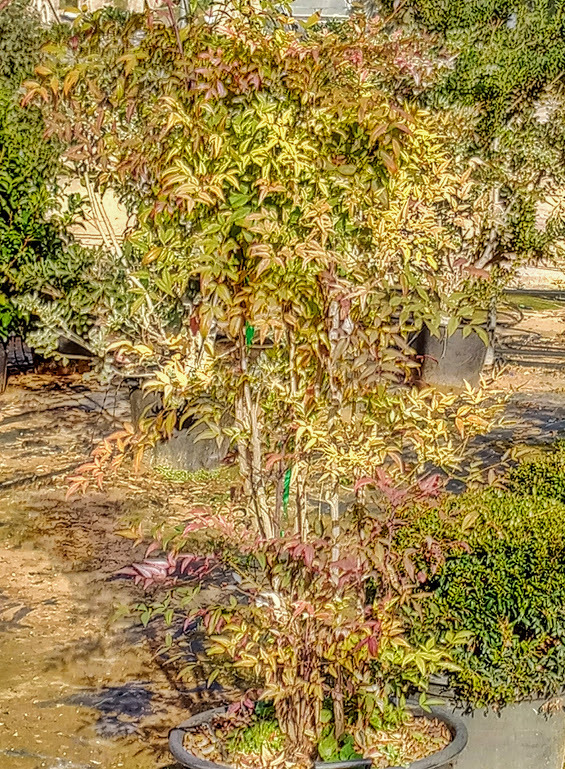 You can prune Nandina throughout summer, but in order to be more accurate and tuned into her natural cycle, I do advise you to stick with early fall. – This is because she will have depleted her energies by the end of summer, and what you want, is for her to enter winter and dormancy on the verge of a growth spurt first thing in the spring. If you plan carefully, you can actually make that happen in early spring, but from my experience early fall is better. Nandina is a very slow grower, unlike other shrubs, pruning as soon as she wakes up can make her slow down her growth further. So, yes, you can prune her in early spring, but like I said fall is better. Why? If you look at the picture you'll see a few stems (Some without leaves at all). The best place to prune is always above new growth, but I suggest you cut in three different places. 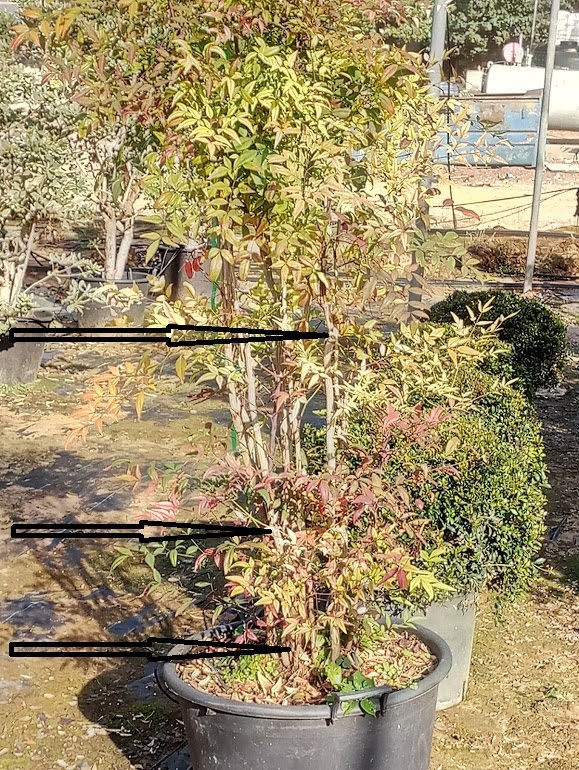 The benefit of that is that your Nandina will produce new growth at different heights, giving you the more bushy look we were talking about earlier. I usually prune at different heights because I always consider the design aspect. Of course you can prune hard, but as I mentioned earlier, Nandina needs her time… she grows so slowly that if you prune too much you won’t get to enjoy her blossoms and fruits next season. Also, if you look closely you will see that I didn’t only mark three different heights, I marked three different stems. Prune smart! It’s easy, and far more rewarding. For pruning Nandina I like to use bypass pruners. The stems and branches of the Nandina require very strong, sharp pruners. I would also choose to work with short blades in this case.